In the days immediately following Hurricane Harvey, the whole world watched as volunteers went from building to building in small private boats to rescue citizens and pets from the dangerous floodwaters. After nearly 40 inches of rain poured down upon one of the nation’s largest metropolitan areas, everyone came together to help one another escape shoulder-high water. Several days later when the floodwater receded and Houston residents and business owners returned, we began to see the full scope of damage caused by the storm. Mildewed desks were dragged to the curb. Moldy office drywall was replaced. Photos and important documents were permanently destroyed. In other words, anything touched by the floodwaters was gone for good. In some cases, entire small businesses were forced to close their doors for good and were put out of business. The truth is that disasters can strike at any time. Whether it’s a physical disaster such as a hurricane, fire, or tornado or it’s an electronic disaster such as a loss of data or system shutdown, all disasters can bring businesses to a halt. As a business owner, if you haven’t taken adequate steps to prepare in advance of a disaster such as backing up your digital files and making a digital copy of your paper records, recovering from the aftermath can be an almost impossible challenge. Disasters are inevitably disruptive, but with the right preparedness measures, they don’t have to be catastrophic. Just as building a safety plan or plotting an evacuation route can help you and your family react quickly in the event of an emergency, thinking about what could happen to your business and your records before a disaster strikes can help reduce the impact later on. Design a Business Continuity Plan: Some disasters bring brief interruptions, others can cause days, weeks, or even months of disruption. One of the best ways to reduce the impact of a disaster is to come up with a business continuity plan to make sure that you and your employees can continue working. Sometimes that will mean setting up remote workstations if your work-site is inaccessible, but more importantly, this means making sure that you and your employees can still access all of your data. Maintain Accessibility of your Records for Strategic Partners: If the worst happens and you are for some reason unable to return to being the leader of your business after a disaster, making sure that your strategic partners (such as accountants or bookkeepers) have access to your records can ensure that your finances stay in order, even if you’re not able to work as closely with your partners as you normally would. 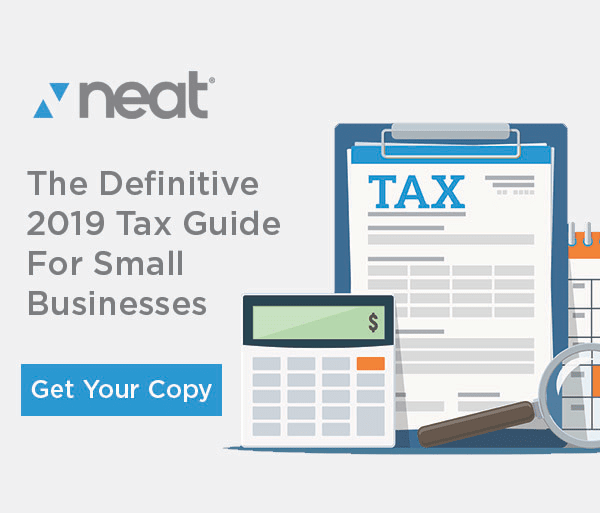 Backup Paper and Electronic Records to the Cloud: If your office is flooded and your receipts are destroyed, it’s going to be difficult to report the many investments you’ve made in your business once tax time rolls around. For that reason, it’s important to back up your both your paper and digital records to the cloud. Storing your important information in the cloud helps you avert the negative consequences of both a physical disaster that could damage your hard drive as well as an electronic or electrical failure that could wipe your data from your hard drive. Of course, even with a business continuity plan that lets you work through a disaster, even with local and cloud-based backups of your records, and even with a plan to make sure your strategic partners can ensure you stay in the IRS’s good graces, disasters can still be extremely expensive. Replacing damaged facilities and equipment can run into the tens of thousands of dollars, not to mention the lost revenue that your business may miss out on if you rely on a physical location to transact with customers. For National Preparedness Month, Neat is offering up to $50 dollars off a yearly subscription. 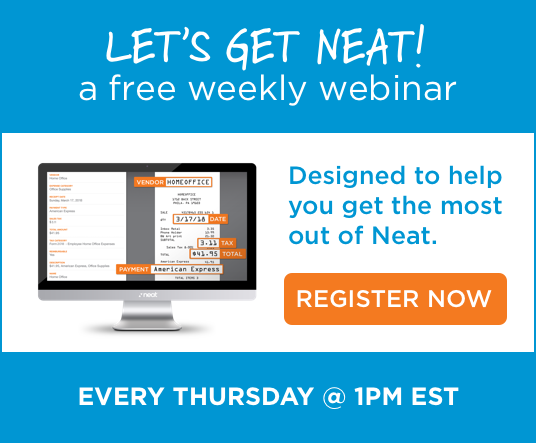 With Neat, you can backup important paper documents and automatically export expense data to your accounting software. Click here to get the offer or to start a free trial.